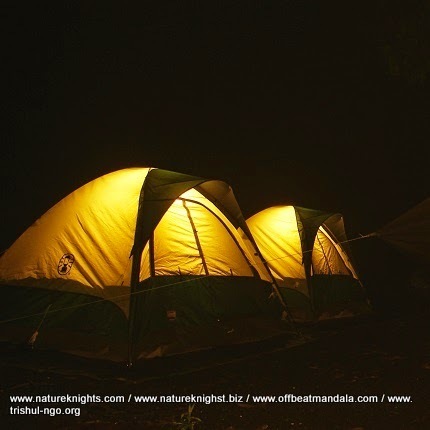 Night Trek to Harishchandragad via Pachnai and Camping at Konkan Kada. There are 7 popular routes to reach Harishchandragad trekking and Pachnai trek route is one of the most approachable routes to Harishchandragad and Konkan Kada. 2:30 pm Arrival at Kasara Railway Station. 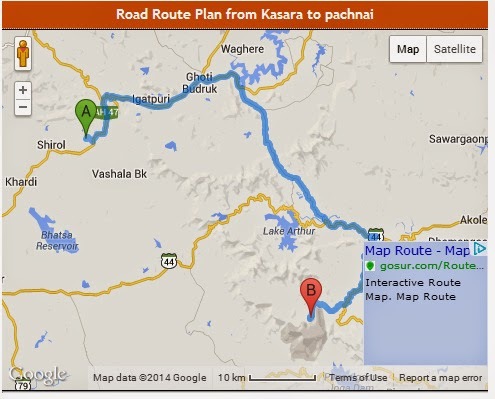 3:00 pm to 5:30 pm Jeep Safari from Kasara Station to Pachnai. 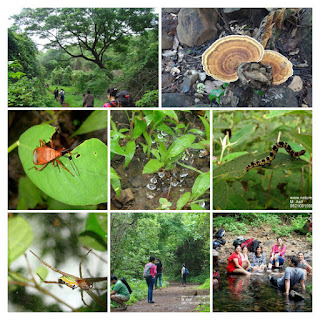 01:00 pm - Return trek to Pachnai; exploring Harishchandragad Temple and Cave Complex on the way. 06:30 pm - End of Event at Kasara Station. Trek Capacity: Minimum 8 and Maximum 24 participants. Harishchandragad is one of the most interesting and popular treks in Maharastra and has several approaches to reach the summit right from Medium Grade to Really Very Tough Approaches. The Largest Kada in Maharashtra is located here having one of the most magnificent and unbelievable views of Konkan. It is said on a windy day if you throw an object into the Kada it would fly right back at you. The fort is quite ancient. Remnants of Microlithic man have been discovered here. The various Puranas (ancient scriptures) like Matsyapurana, Agnipurana and Skandapurana include many references about Harishchandragad. Its origin is said to have been in 6th century, during the rule of Kalchuri dynasty. The citadel was built during this era. The various caves probably have been carved out in the 11th century. In these caves are idols of Lord Vishnu. Though the cliffs are named Taramati and Rohidas, they are not related to Ayodhya. Great sage Changdev (one who created the epic “Tatvasaar”), used to meditate here in 14th century. The caves are from the same period. The various constructions on the fort and those existing the surrounding region point to the existence of diverse cultures here. The carvings on the temples of Nageshwar (in Khireshwar village), in the Harishchandreshwar temple and in the cave of Kedareshwar indicate that the fort belongs to the medieval period, since it is related to Shaiva, Shakta or Naath. Later the fort was under the control of Moguls. The Marathas captured it in 1747. The most interesting point on this fort is this cliff, which has always fascinated many people from many years. From here, one can have a breathtaking view of the surrounding region and; the setting sun. This cliff is not straight, but concave in its topmost approach. This feature renders it distinct. It has been accessed by rock-climbers only twice till now. 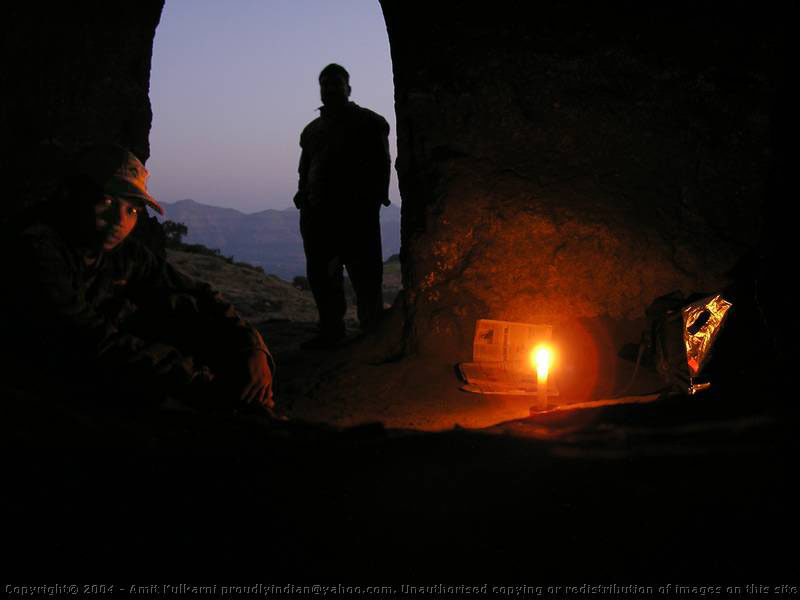 Caves are situated all over the fort and most them concentrated near foot of Taramati peak. 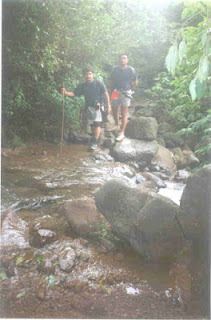 The caves near foot of Taramati are used as accommodation by most trekkers. A few are near the temple, whereas some are near the citadel and some far away in the forests. A natural cave is on the northwestern side of the fort, to the right of Kokan Kada. It is about 30 feet deep. The folks must know many such caves. Many of these may be remaining undiscovered. One has to board the bus for Nagar from Kalyan & alight at ‘Khubi Phata’. From there we reach the village of Khireshwar by bus or private vehicle. This village is at 4km from the foothills of the fort. The third way is specially meant for hikers, which is via Sadhleghat. One should board the bus for Malshej Ghat and go to the village of Belpada. From here, the route goes through Sadhleghat. Here one has to climb a straight rock patch on which grips are provided. The temple is situated at a height of about 1km from Belpada. The total distance is about 19km. Ganesh caves & caves near the temple of Harishchandreshwar or Carry your own tents. In Khireshwar, local school is the best for a night’s stay. In this village, we can see the beautiful temple of Nageshwar as well as ancient caves of the Yadav era.